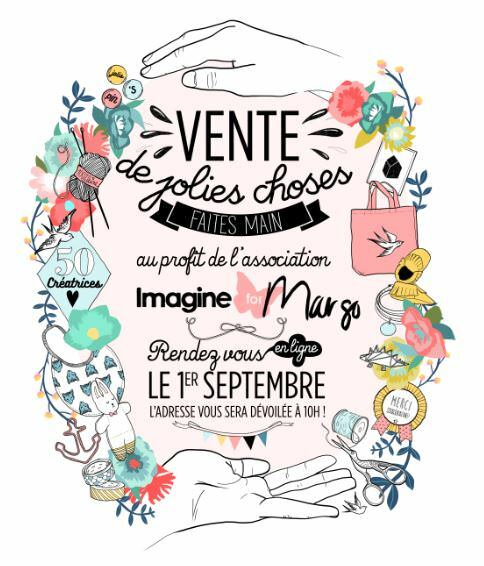 Since the 1st of September, the sale of handmade pretty things by 50 designers for the benefit of Imagine for Margo was a great success. Thanks to Mathilde and the designers for this beautiful initiative. 4 500 euros in profits, that’s AMAZING! But it would be even better to have 5 000 euros right? You can still find a lots of pretty things, publish on the home page to simplify your research.